You really gotta love these Japanese pens and their awesome nibs. 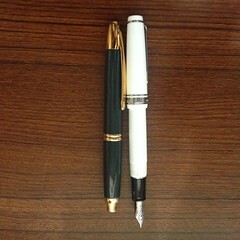 I got this pen at a preorder with PensGalorePH which is also where I got my Pilot Custom Heritage 92. Their preorder prices are really good. I was a little hesitant to order it at first because of the color. I don’t have any white pens, and I would’ve preferred a black Sailor ProGear Slim Sapporo but they only have the white one. 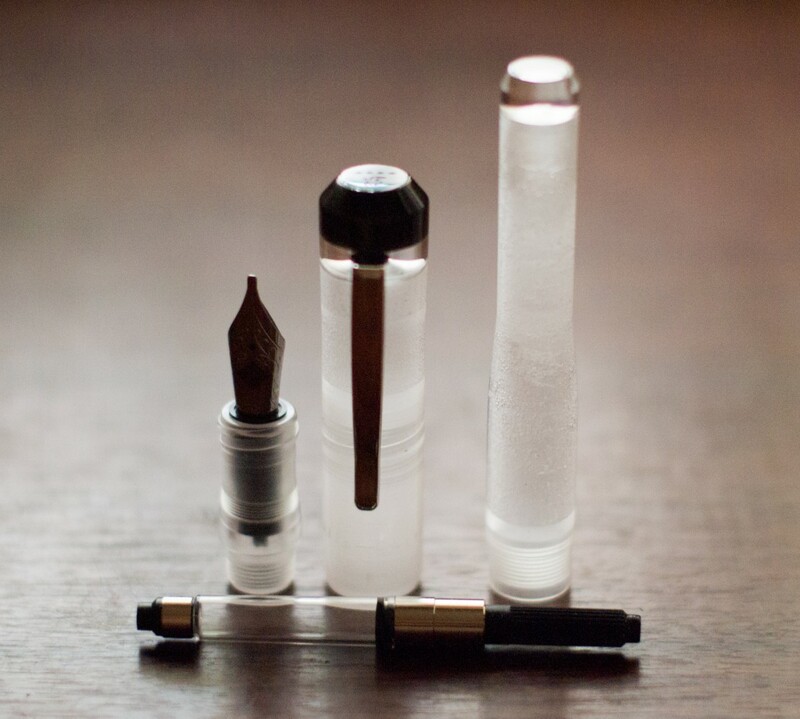 This was delivered a day after the Parker Premier, and boy, it’s like using pens that are opposites of each other–black and white, metal and acrylic, European nib and Japanese nib. 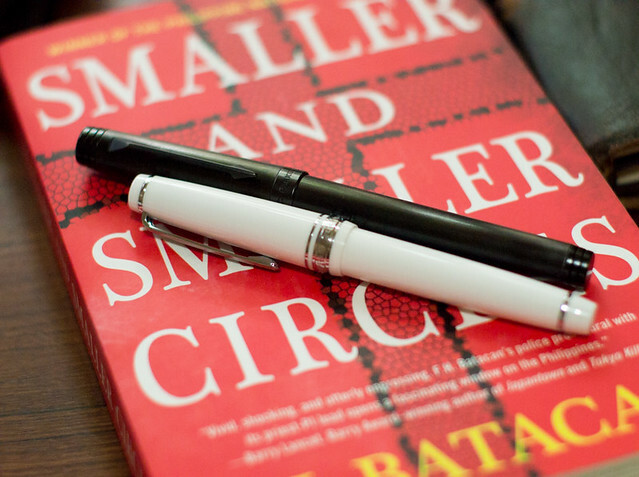 My first impression was wow, this pen is small. 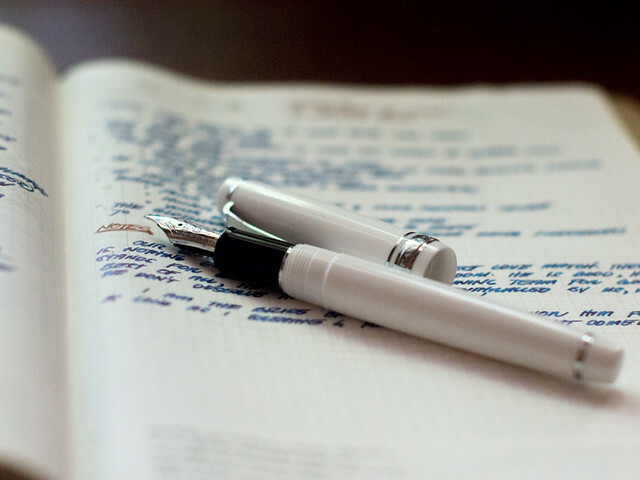 The first Sailor pen that I used was a clear candy, and I think that even for a steel nib, it was pretty good. The nib was really good for drawing and writing. It’s my first time to buy a Sailor pen with a 14k nib, but I have tried a ProGear Slim before. 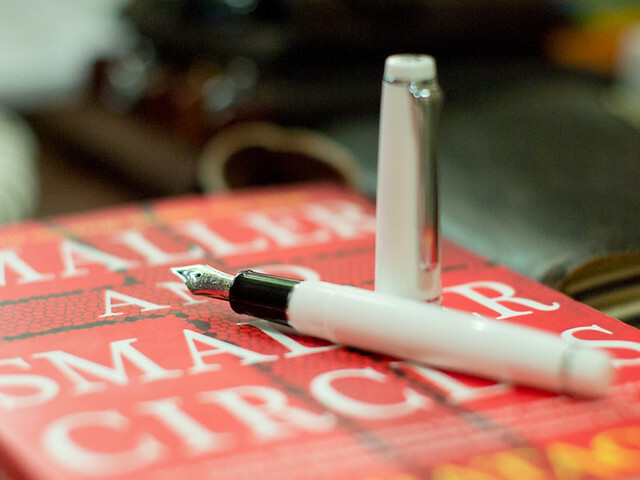 I like the simplicity of the design of this pen. The edges are flat, the trims are simple. 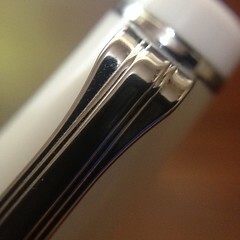 Rhodium trims fit the white acrylic pretty well, the pen looks clean and beautiful in a classic kind of way. The section is pretty short, I guess it’s proportioned to the length of the barrel, but I imagine that people with large hands will find the length of the section a bit too short for comfortable writing. If you don’t like to hold the pen too close to the nib, you’ll most likely end up gripping the threads of the barrel, not very comfortable. It’s a converter-filler, and the converter/cartridges are proprietary. I am not a big fan of proprietary converters/cartridges because I find it a hassle to replace them. It’s easier to replace if the pen uses standard C/C’s. 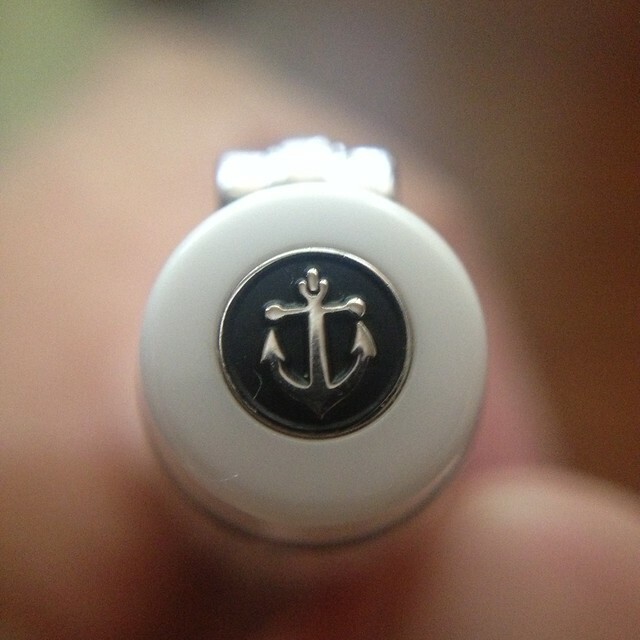 The little details of the pen are quite pretty. I like the little anchor logo on the finial. I like the ring around the cap band because it’s probably the only thing that kind of stands out when the pen is capped. I like the font they used to engrave SAILOR Japan Founded 1911. Kinda reminds me of fonts used in printing money. 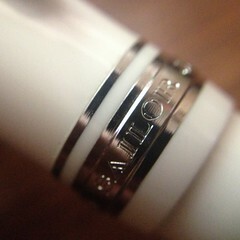 The engraving is crisp and looks really good. The clip’s design is also simple and nondescript, but I don’t like that it’s not so springy. It’s hard to slip anything under it. I certainly won’t be able to clip it on my pen cases. When you uncap the pen, you’ll be greeted with this pretty little thing. Well, without the ink coating it, of course. 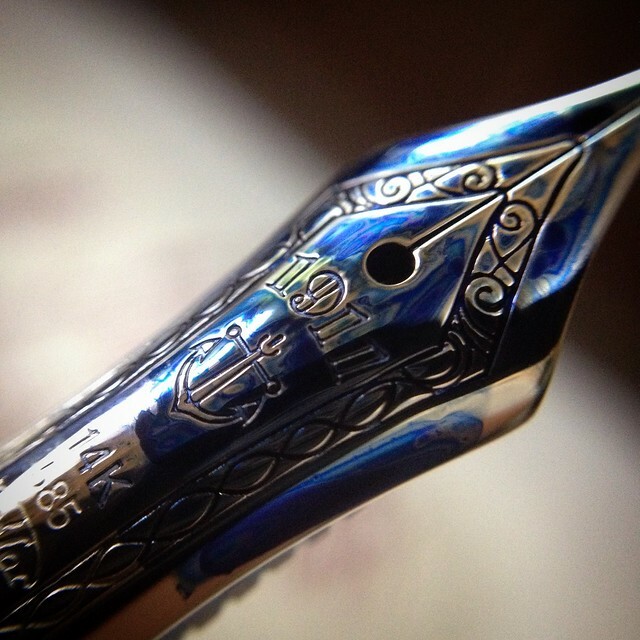 Isn’t that such a gorgeous nib? It has nice, deep, clean-looking hallmarks, filigrees, and logo. Such a nice detailed nib. 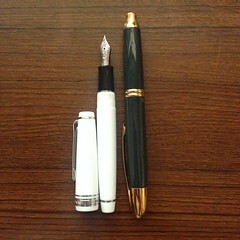 I think the pen is best used posted. Since it’s so light and well-balanced, it’s not uncomfortable when capped. When it’s posted, it’s just a bit longer than a Pilot Vanishing Point. When unposted, it’s a lot shorter than a VP. 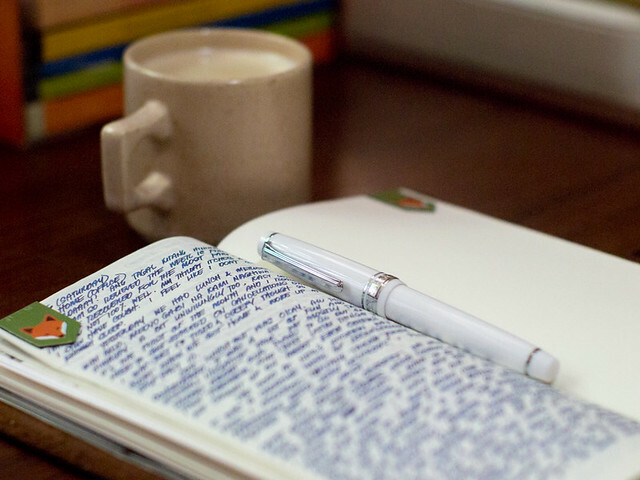 People with small hands can still find it comfortable to write with unposted, but those with larger hands may find it too short to be comfortable. Personally I can use it either way. Overall, this is a pretty nice pen. It’s light but comfortable in the hand, especially when used posted. It’s simple but what one can consider a classic beauty. 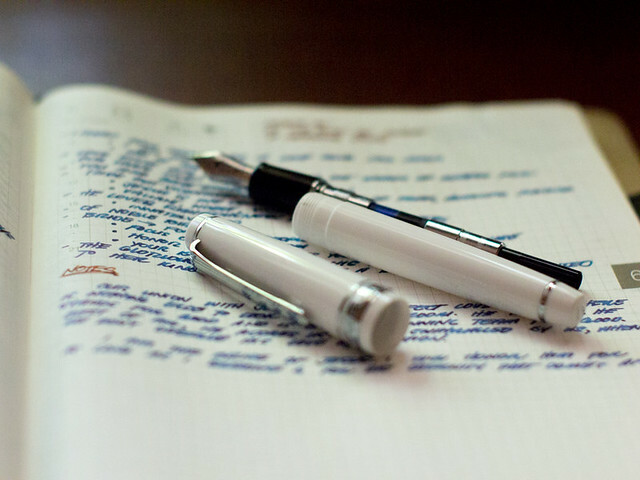 The overall aesthetics of the pen is tastefully simple, and complements the focal point, which is the lovely nib. I love how the nib is already a great writer right out of the box. 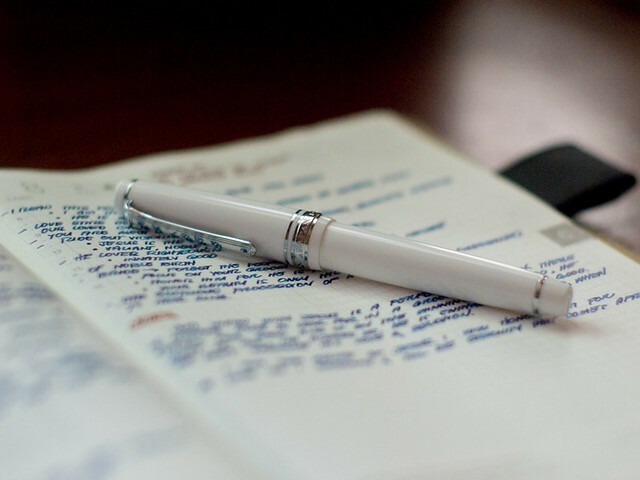 It’s a pen that you can use to write for hours, it’s simply a joy to use.